This one-day event will address issues of evidence and person-centered care which are relevant for Physiotherapy and associated allied health professions. It will bring the philosophical work on the theory of causation which is developing within the CauseHealth project, to the heart of Physiotherapy/AHP practice. For example, a key question might be “what causes someone’s pain to improve”. Over the last 20 years or so, this sort of question has started to become addressed by research methods associated with a model of evidence-based practice. Typically systematic reviews of high-quality randomised controlled trials will be used to establish the effectiveness of an intervention. Thus, priority is given to those methods which we think establish the best knowledge for a particular question. In doing so, other sources of evidence are de-emphasised, for example mechanistic scientific study, personal experience, and values of the person. The CauseHealth project challenges the philosophical rationale for the evidence-based practice model. Of course, Physiotherapy practice should be based on evidence, but we ask, what should the sources of the evidence really be? A specific challenge to practice is that which concerns the relationship between population data and the individual patient. Can RCTs truly inform individual therapeutic decisions? If so, how? Or are there other ways of thinking about what causes someone’s pain experience to improve? This conference will address these core concerns. In-line with a renaissance of evidence-based medicine, and calls for better person-centred care, this conference discusses how the human can fit at the centre of evidence-based clinical decision making. It assumes that clinical decisions and human interactions are complex and context sensitive, and raises this assumption as a challenge for current practice. There will be a mix of speakers from physiotherapy and philosophy, and a focus on open discussion. Physiotherapy will be used as an example of a discipline thoroughly immersed in complexity, context-sensitivity, practice, and science. Although all talks will be about Physiotherapy, the philosophy, ideas, and discussion will be generic and relevant to all disciplines. Are you a critical, reasoning therapist or AHP who cares and thinks about their patient outcomes and how research and practice relate to this? YES, YOU SHOULD COME. 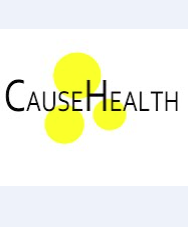 Are you a philosopher, sociologist, or social scientist interested in the CauseHealth project, EBM, or causation generally? YES, YOU SHOULD COME. Are you anyone else with an enquiring mind and an interest in philosophy of health science, or simply interested in how health interventions are decided upon? YES, YOU SHOULD COME. Rani Lill Anjum (Philosopher) Research Fellow, Norwegian University of Life Sciences, PI of CauseHealth. The conference will take place in the Victorian Civil Courtroom in the Galleries of Justice, Nottingham. Accommodation will be just across the road (literally) at the Lace Market Hotel. For discount contact rate, contact Ellie Sanders, Reservations & Events Coordinator: rsvns@lacemarkethotel.co.uk ; +44(0)115 948 4414. Quote discount code “CauseHealth”. This event is sponsored by CauseHealth and NFR – the Research Council of Norway’s FRIPRO scheme for Independent Projects. Roger Kerry, on behalf of the institutional partner School of Health Sciences, Faculty of Medicine & Health Sciences, University of Nottingham and CauseHealth.